HCC and COMSEC National NCD Commission Consultation in St. Vincent and the Grenadines took place 10-12 August 2016. The Commonwealth Secretariat (COMSEC) is continuing its technical cooperation (TC) with Ministries of Health in Caribbean countries to establish/strengthen multisectoral National Non-Communicable Commissions (NNCDCs). The TC, driven by a recommendation in the CARICOM Heads of Government 2007 Port of Spain Declaration on NCDs, is being carried out in collaboration with the Healthy Caribbean Coalition (HCC). A COMSEC-HCC consultant, Dr. Beverley Barnett, visited St. Vincent & the Grenadines (VCT), aiming to facilitate the piloting of the draft document “A Framework for the Establishment and Strengthening of National NCD Commissions – Towards a More Effective Multisectoral Response to NCDs, Part II” (Implementation Framework or IF); obtain feedback on the document; and identify priority needs for further TC. 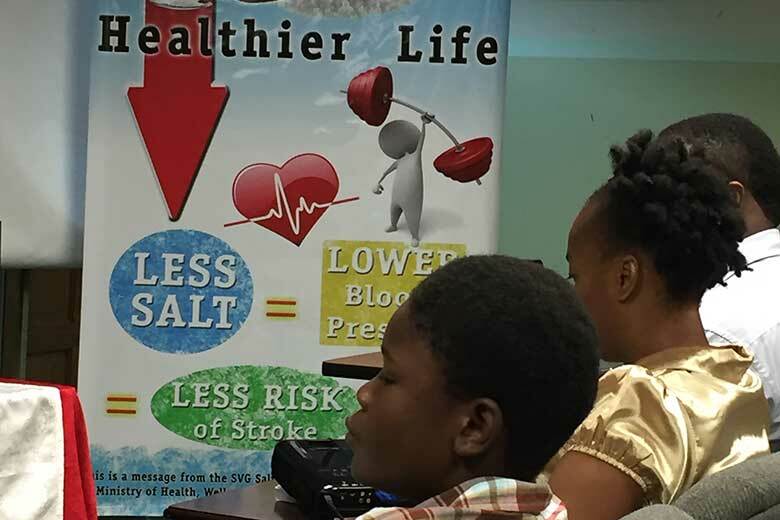 During the mission, the consultant participated in the Ministry of Health’s launch of three television public service announcements produced through the project “Reduce Salt for a Healthier Life”. The project targets mothers of primary school-age children, and is coordinated by the Salt-Smart Coalition, under the leadership of the NCD Coordinator in the Ministry of Health, Ms. Beverly Liverpool. During the launch, the Permanent Secretary in the Ministry, Mr. Luis De Shong, welcomed the COMSEC-HCC consultant and noted that the Cabinet had recently approved terms of reference for the national Health and Wellness Commission, which were developed by a Task Force. In meetings with the VCT Task Force, it was noted that the next step in the establishment of the Commission would be inviting prospective Commissioners to serve, and a request was made for cooperation in defining desired characteristics of the Chair and Members of the Commission that could be sent with the invitation letters. The Task Force provided feedback on the draft IF, expressing appreciation for its contents, while making suggestions for its improvement. Areas identified for possible TC included mechanisms for robust sampling in the salt-reduction project; screening for prevalent NCDs in various settings, building on work started by the VCT Retired Nurses Association; and training in grant proposal writing. COMSEC-HCC will continue to provide technical cooperation towards the efficient and effective functioning of NNCDCs (or their equivalents) in the Caribbean as a key contribution to NCD prevention and control in the region.